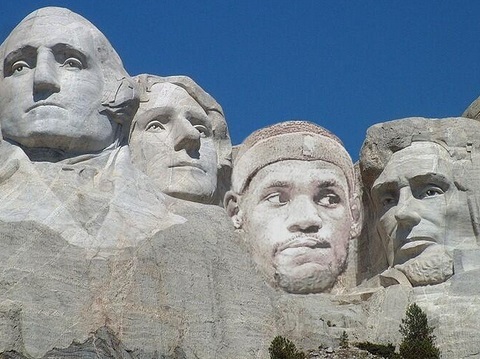 LeBron James made Mount Rushmore a trending topic earlier this week for reasons entirely unrelated to the giant presidential faces carved into the side of a granite slab in South Dakota. From coast to coast, people got all up in arms about who the four best basketball players of all-time are, if that is the criteria necessary to earn a spot there. Elsewhere, Carmelo Anthony wants to win a championship (don’t we all? 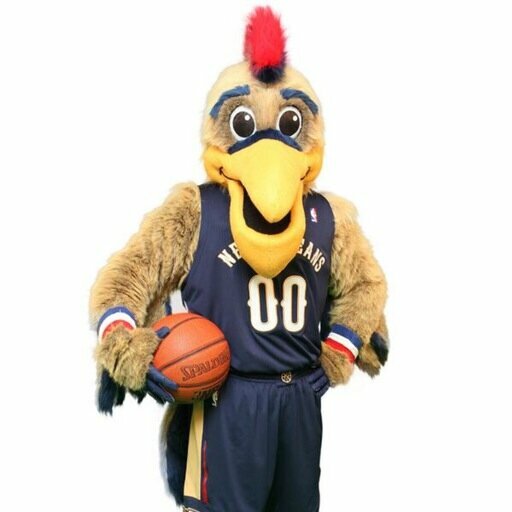 ), and Pierre the Pelican finally gets a makeover, just in time for All-Star Weekend in his hometown. 1. MOUNT RUSHMORE! MORE MOUNT RUSHMORE FOR EVERYBODY! : In an interview with NBATV which will allegedly air Monday, LeBron James was asked who would be on his NBA Mount Rushmore, which ignited a firestorm about who is on anyone’s Mount Rushmore of anything, because apparently Mount Rushmore can change every few years when another great player rises. For what it’s worth, James said he would include Michael Jordan (obvious, given his immense contributions to the popularity of the game and overall ability to win whenever he felt like it), Larry Bird and Magic Johnson (Jordan’s forerunners in terms of returning the NBA to prominence, with their legendary back-and-forth in the 1980s) and Oscar Robertson (the only man ever to average a triple-double over an entire season, which is just insane by any measure). He went on to say that he would eventually be on that Mount Rushmore and that “somebody’s gotta get bumped, but that’s not for me to decide. That’s for the architects.” And so the architects will have to spend lifetimes at the blueprint, waiting for emerging basketball talents to up the ante on the established greats. Durant was asked for his Mount Rushmore. Goes with Jordan, Magic, Bird and Kareem. Washington, Madison, Monroe, T. Roosevelt, Ike RT @russbengtson: Who's on your All-Defensive First Team of U.S. Presidents? RT @thefarmerjones: The Mount Rushmore of people I'm going to unfollow today. 2. Carmelo Anthony wants to win and is maybe sorta kinda willing to take a pay cut to win in New York: While preparing for All-Star Weekend in New Orleans, the only living Knick in New York told reporters that he is making his current team the priority for his future. “Without a doubt, any opportunity I have to build that up in New York, I’d do it. I told people all the time, always say, ‘If it takes me taking a pay cut, I’ll be the first one on Mr. Dolan’s steps saying take my money and let’s build something strong over here. '” He played up the fact that, as an NBA superstar, he has already made a lot of money and will continue to do so regardless of the marginal differences in contract offers he may receive as a free agent if, as expected, he follows through with that plan this summer. What the Knicks lack in movable assets, they will make up for in salary cap space come the summer of 2015. Potential targets include, but are not limited to, Timberwolves forward Kevin Love and Celtics point guard Rajon Rondo. Given the managerial situation in New York, however, it is almost guaranteed that either a) Anthony will leave, regardless of the situation, because he really does want to win, or b) the Knicks will give Anthony a max contract just so they can have a legitimate star in their lineup for the foreseeable future, running the risk that they won’t have as much cap flexibility for the duration of said contract. 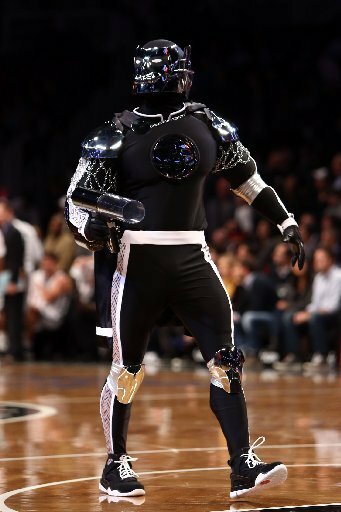 It’s the kind of thing that really makes Knicks fans want to get in a Tampa Bay Rays costume and punch an Aquafina mascot, hoping that James Dolan is inside. Exhibit A: No, no… I am not letting any children (or children at heart, or anyone who dreams at night) near you. 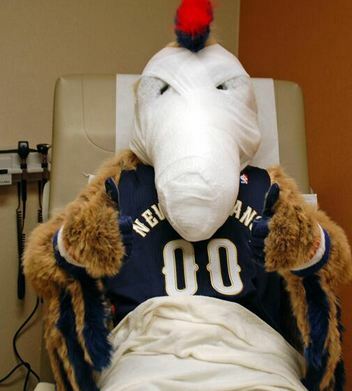 Exhibit B: Well, let’s see what monstrosity the Pelicans turn out this time. Exhibit C: This is the kind of guy I would absolutely invite into my home to listen to some Louis Armstrong over beignets and coffee. 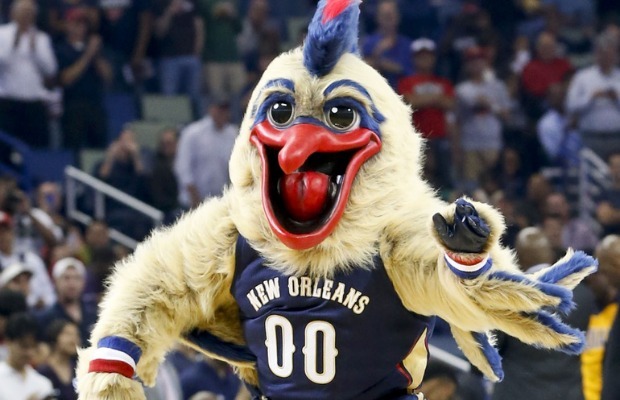 And-1: The above transformation and tonight’s Celebrity All-Star Game got me thinking that maybe there should be an all-mascot game on All-Star Weekend. Surely it would be a bigger draw than watching Kevin Hart and Secretary of Education Arne Duncan (who played extremely well, by the way, putting up 20 points and 11 rebounds) drag each other up and down the court. 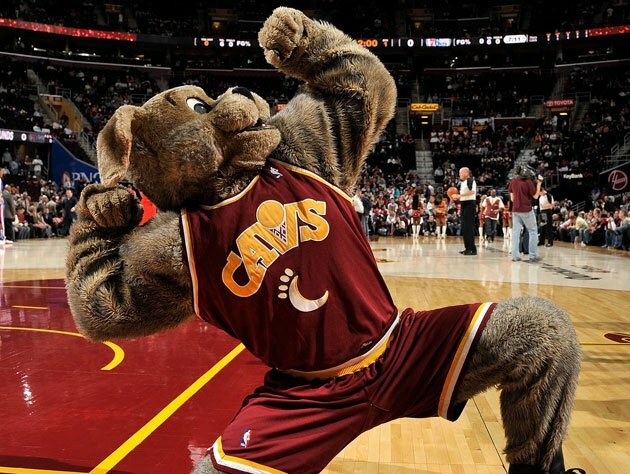 Just think: how delightful would it be to see the Eastern Conference’s mascots, including Benny the Bull, Daft Punk castoff BrooklyKnight, Cleveland’s Moondog and the positively enjoyable flame head Hooper of the Detroit Pistons, face off against the best of the West, including Crunch the Wolf of Minnesota, Portland’s Blaze the Trail Cat and Denver’s Rocky the Mountain Lion. Or, better yet, put the mascot costumes ON players from their teams and have them play a shortened All-Star mascot game. Get Kyrie Irving inside of Moondog and see how his handles fare. 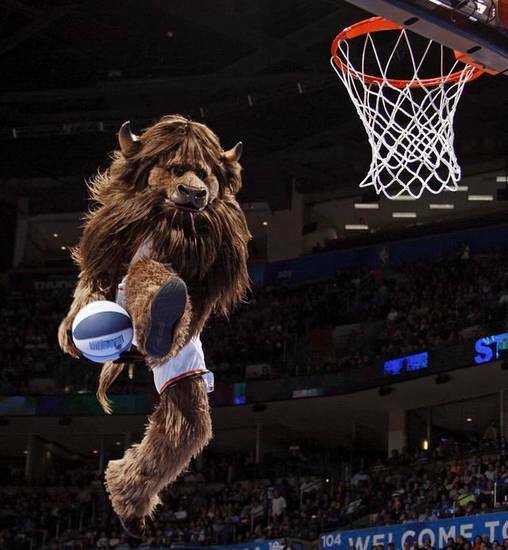 How would Kevin Durant’s 50-40-90 game fare inside of Rumble the Bison? Is Victor Oladipo still a Rookie of the Year candidate as Stuff the Magic Dragon? Watch Boogie Cousins freak out at his teammates and coach when under the guise of Slamson the Lion. Imagine Tim Duncan’s fundamentals holding up as The Coyote. The list can go on endlessly, and the entertainment value of having that game every year would take the NBA to another stratosphere. Adam Silver, if you want to make a true splash as a dynamic commissioner who wants to bring about change to the world’s premier professional basketball league, you now know what to do.